Natural Treats and Supplements - CSJK9 Ltd.
A range of natural treats and supplements. A very powerful, high energy feed block that is perfect for hard working dogs, stressed show dogs and can also build up underweight dogs, The 400g bar appears like a very chunky chocolate bar and can be easily broken up into small pieces to provide a regular energy source throughout the working dog's day. Delicious semi-moist 80% meat 'morsels' with Cranberry & Blackcurrant. Air-dried for extra flavour. 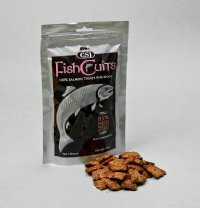 Ideal as a tasty topper for your dog's dinner or possibly as tiny treating treats. Size of pack: 120g. Delicious semi-moist 80% meat treats with Cranberry & Blackcurrant. Air-dried for extra flavour. Ideal for training.. Size of pack: 100g.